​The agent of Juventus defender Daniele Rugani has said he is proud that the 24-year-old has extended his deal at the Turin side, admitting that everyone at the club was very keen to secure his long-term future. 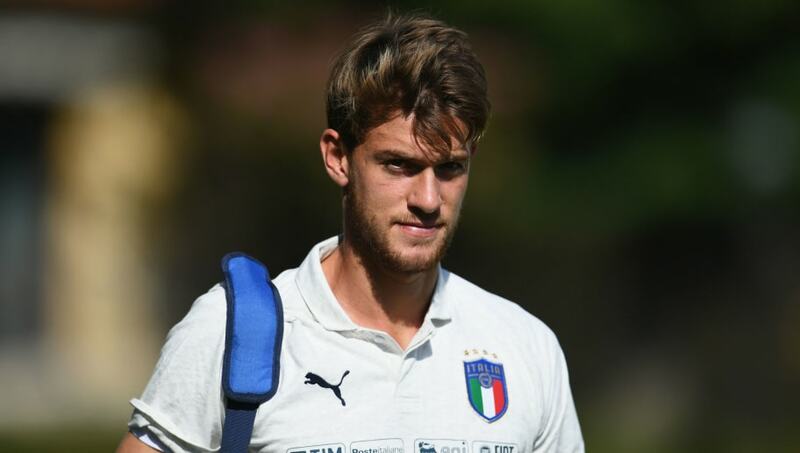 Rugani signed for Juve from Empoli in 2015, and has typically been used as a rotation option for the likes of Giorgio Chiellini and Leonardo Bonucci, but with the first-choice duo both into their 30s and the former suffering from some injury issues, Rugani has gradually progressed into a more prominent role. His performances earned him a ​contract extension until 2023 at the end of last month, cementing the feeling that he is the future of the Italian champions' defence, and his agent David Torchia has said that everyone from chairman Andrea Agnelli to sporting director Fabio Paratici was keen to tie him down. "There has never been a line to pass to reach the decisive moment," Torchia told ​TuttoJuve. "Honestly since this summer there has been a provision by ​Juventus, in the figures of Agnelli, Paratici, Nedved, to continue towards this road. "The direction of the coach, the people who work in this club are very serious - for our part, there was already pride in this solution, and for this reason there was never a specific date. "The company has focused on the longest contract that could be made, we were very happy with the umpteenth demonstration of confidence on the part of Juve and so far everything is progressing for the best." With his new deal confirmed and his fourth ​Serie A title all but in the bag, the next challenge for Rugani will be helping his side overcome Ajax to reach the Champions League semi-finals. The Italy defender featured for 90 minutes as the sides ​​drew 1-1 in Amsterdam, and will be hoping to go one better and secure a victory in Turin on Tuesday.